Home thread of card-type. 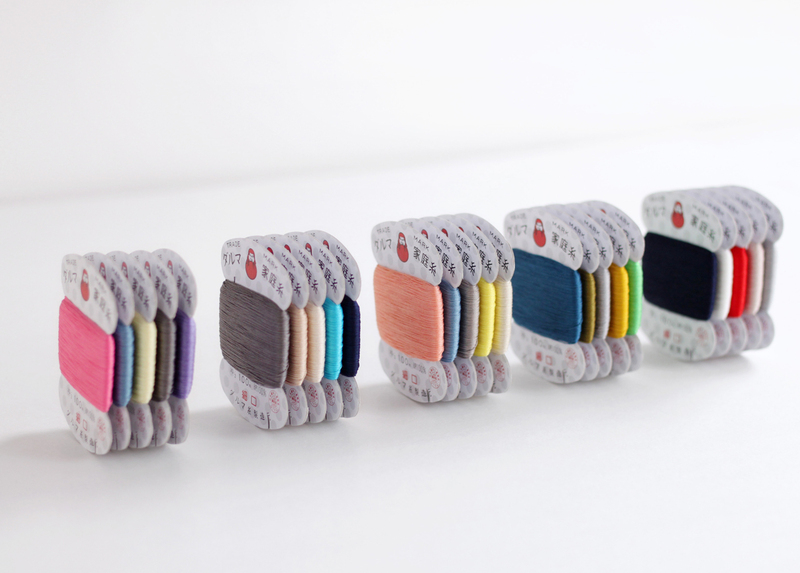 It nestles up to our daily life as for button sewing and repair, and occasionally it also can be embroidered or stitched as if drawing freely by bundling. 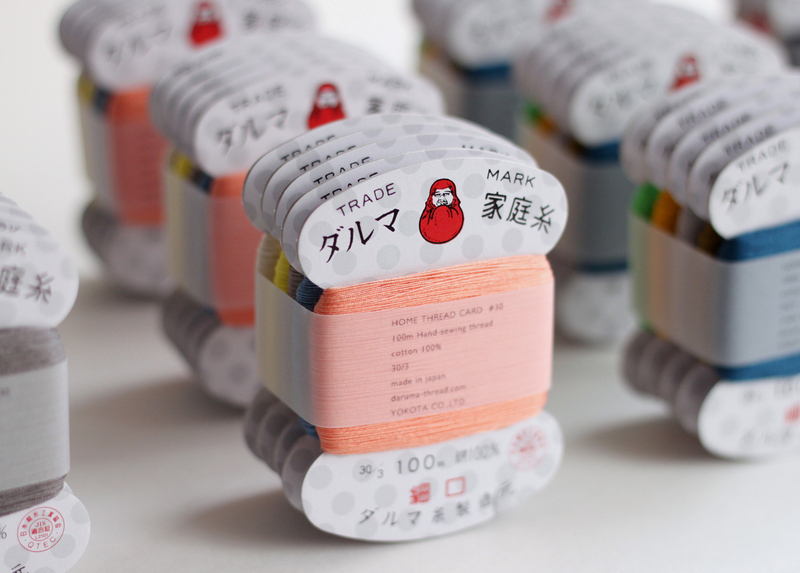 DARUMA THREAD with a good gloss is strong and its sewing feeling is well having been provided reliable quality since our company foundation. 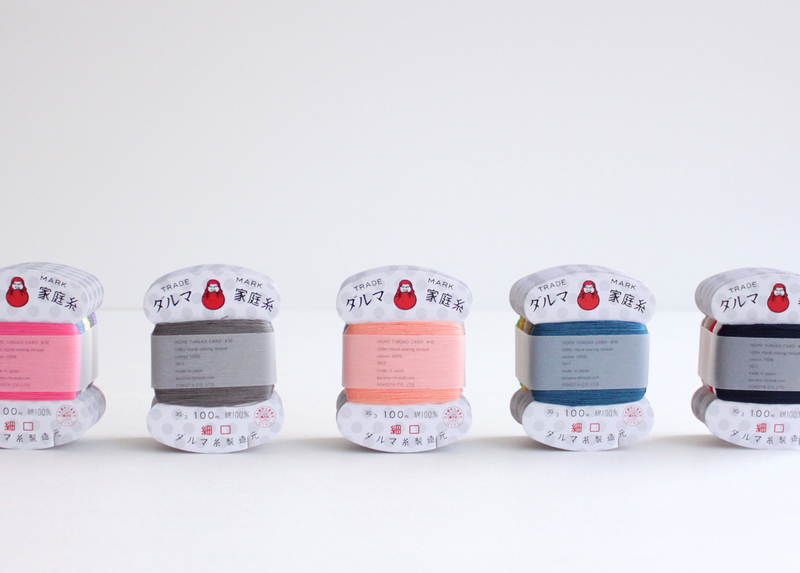 We are going to sell it were dyed cordially in Murasakino, Kyoto and selected colors with image of the Japanese place name.